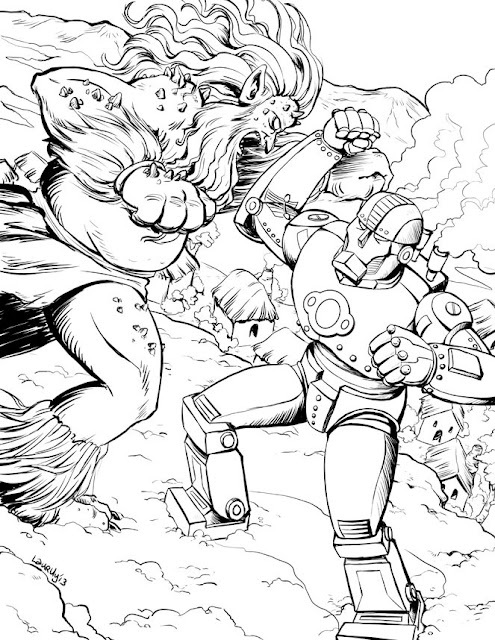 Here is a piece of art from a new project I'm working on. It's an all ages comic called NorthStars which will feature a favorite Flashback Universe character of mine, Artifact, as well a ton of new characters. This illustration is by my partner on the project, the phenomenal Laurianne Uy, creator of Polterguys. One of the posts that seems to be a favorite among people who stumble upon this blog for the first time is my article on the villians created by Ross Andru during his Spider-man tenure. 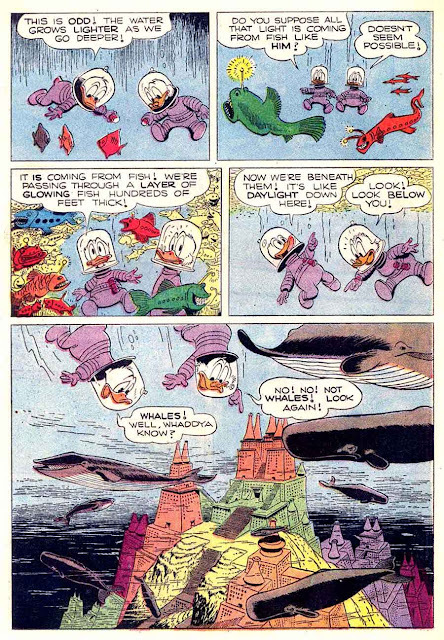 To many old school fans, Andru became synonymous with the character he drew. 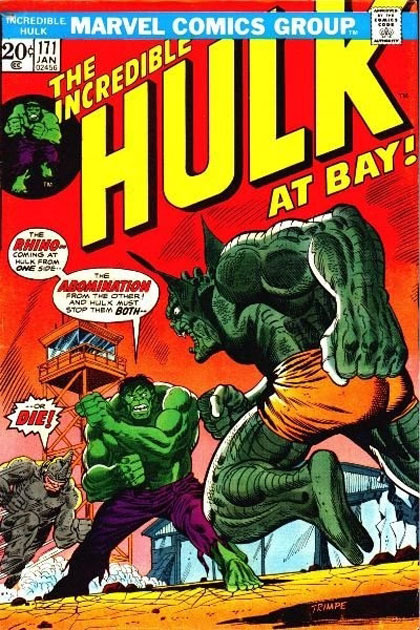 I think that is also true of another one of my favorite artists from that era: Herb Trimpe! 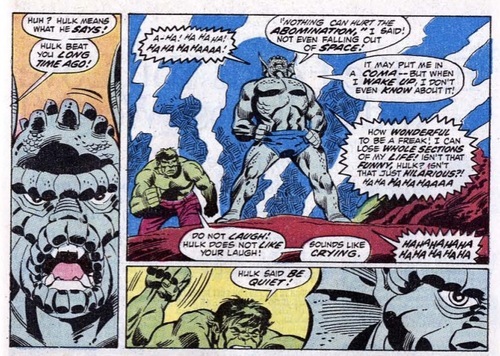 Herb Trimpe is a bit like Kirby in that some people just don't like his stylistic approach. 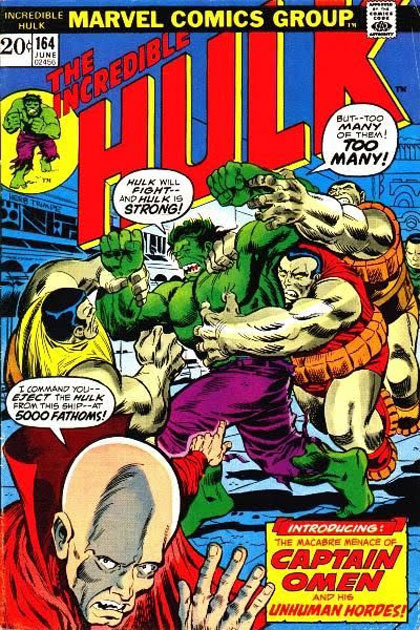 A far cry from the photo realistic Bryan Hitch clones that seem to be the norm of today, Trimpe's art embraces a simplicity and dynamism that you rarely see now. 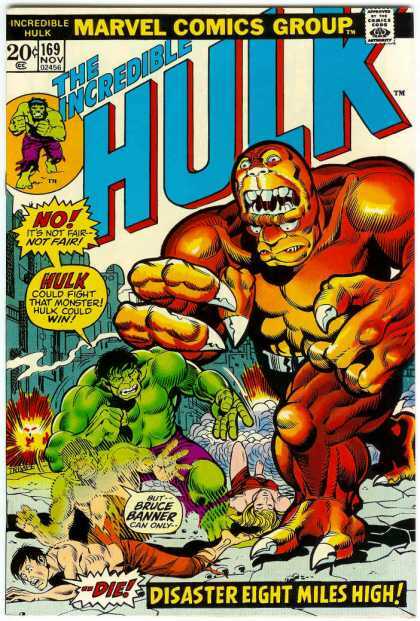 His style has been praised by many comic luminaries including Erik Larsen. 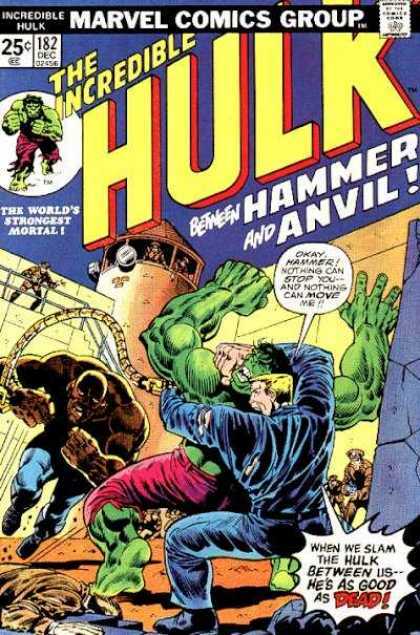 Here are some of my favorite covers from his prodigious seven year run on the Hulk with some reasons why I like them. phase of my life. (I had sampled a few issues as a wee lad during the late 60's, but nothing had stuck.) 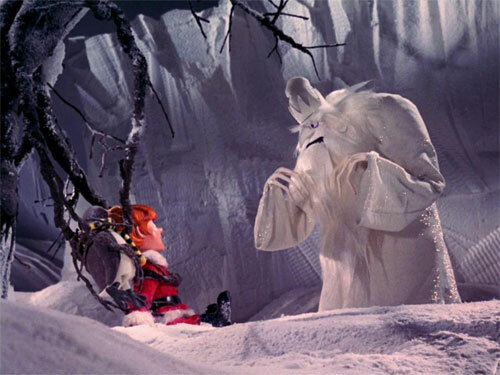 This was issue wherein I experienced reading a story that referred to events from several years ago. Year spanning continuity?! At the time, the idea that these stories could go on for years was staggering. This is a MUCH better example. Check out the the way we are viewing the scene from such a distorted angle here. 164 – Phantom From 5,000 Fathoms! This is cool because of how the transformation scene gets played out on the cover. 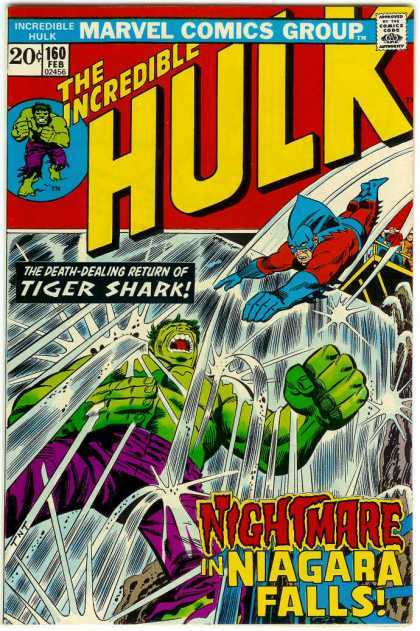 Easily my all time favorite issue from this time simply because of the battle royale between Hulk, Rhino and The Abomination. The cover is great too because it almost has a 3D effect with the way perspective has been used to heighten the drama. 173 – Anybody out There Remember...The Cobalt Man? exciting. As a result, it gives him room to draw the figures a bit broader than a regular horizontal plane would have allowed. Great use of framing here. 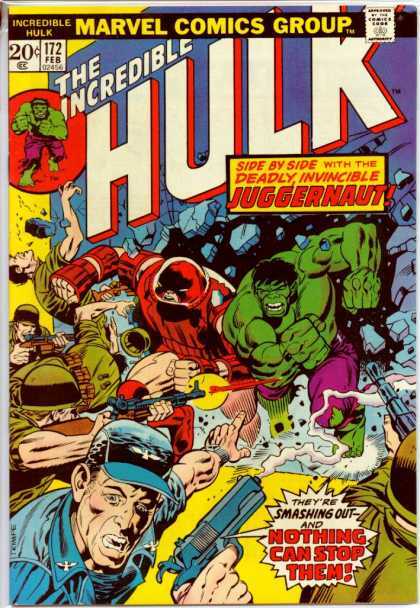 And finally, probably the most remembered (and homaged) Hulk cover from this era. 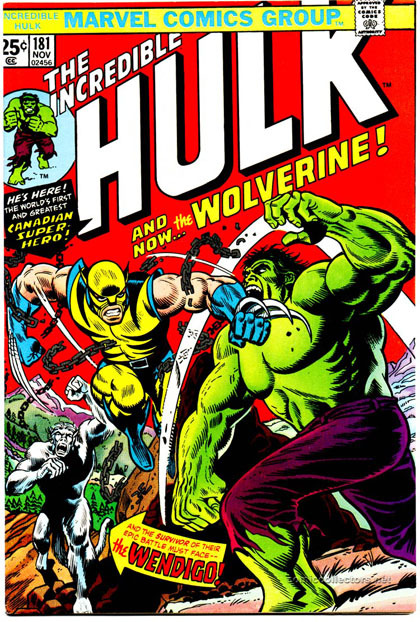 181 - And Now, The Wolverine! 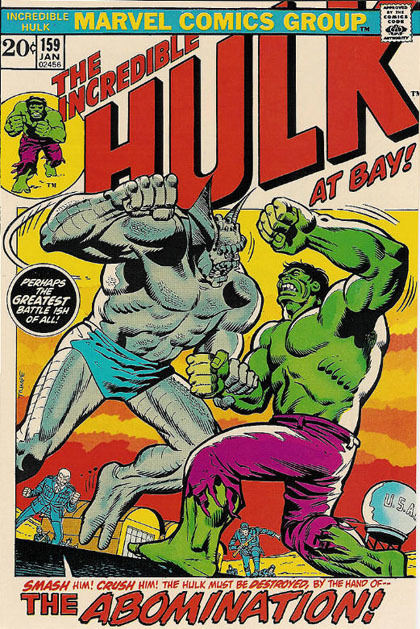 I hope you enjoyed seeing those even if you aren't as enamored with the Trimpe style as I am! The Secret Origin of Rick Jones! I was recently asked to contribute to How Would You Fix... a blog edited by Nathan Adler. 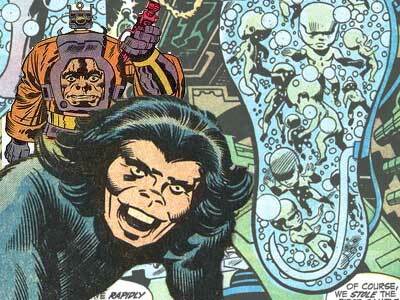 It's an entertaining site which posts theories and continuity patches for the various holes in the Marvel universe. For my contribution, I chose the The Secret Origin of Rick Jones, a normal teenager who has somehow been able to wield both the Destiny Force and Cosmic Awareness at various times in his life. 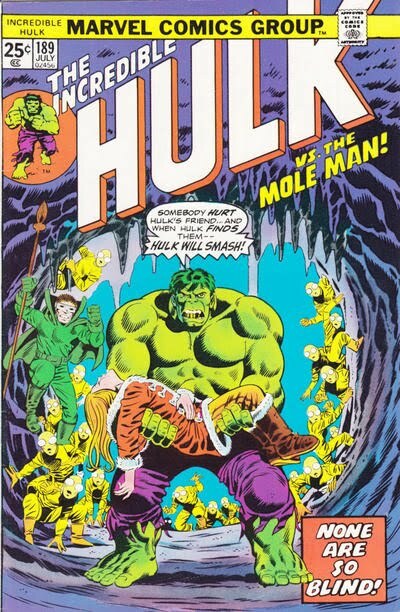 My apophenia driven entry reveals how Arnim Zola, Moon Boy and Korvac all played a part in the events that have led to the rather auspicious life of Rick Jones. 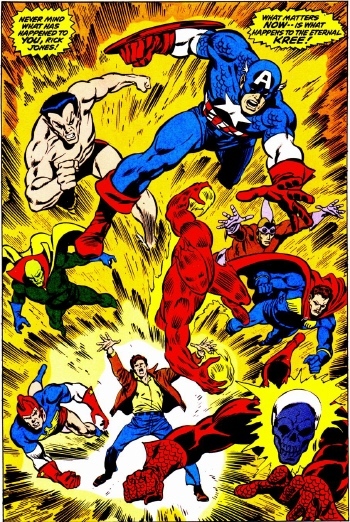 While I haven't ever tried my hand at such a speculative article, I found reviewing the history of the Marvel universe and connecting the dots to be a fun challenge. I've got this rule about sitting in a chair all day and working on the computer. Basically, I try not to do it. And since I was working all day yesterday on new comic book project, I'm going to cut my computer chair time short today by going light on the commentary and simply post some great unseen artwork from old projects from the Flashback Universe. Over the past couple of years, I've had the fortune of running into other Zuda contestants online and like me, they often lament the lack of such a competition today. Mostly because it was a cool way to get exposure for a project and if you got picked, DC would pay out for the pages you submitted. The one thing most people didn't like was the marketing aspect. Basically, you had to do you own marketing, which is hard for people. I think Kickstarter strikes people this way too. Next up is a cover for a Godspeed vs Lady Nemo comic that was written by Jason Wright. 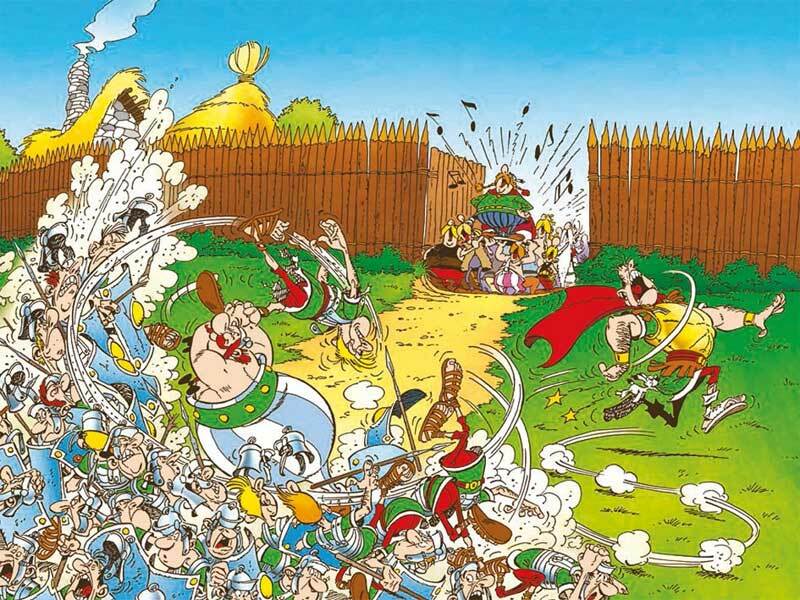 The script was completed but Pierre got busy with another animation project (a part time gig that turned into a promotion and then a career) so the comic was unfinished. Finally here are two images from another Zuda project I worked on with Pierre. 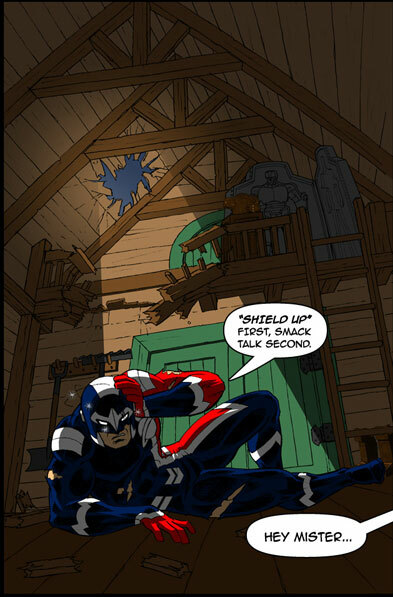 This was going to be another League of Monsters story that had some flashbacks to the WW II era of heroes. This image was simply used as a background image in the story, but it's such a awesome piece that I thought you might enjoy see in at full size. This next one wasn't really part of the story, but Pierre created it to sell me on the idea of having a WW II story. Any of you guys ever work on a project that never was completed? I would love to hear about it and find out what happened.